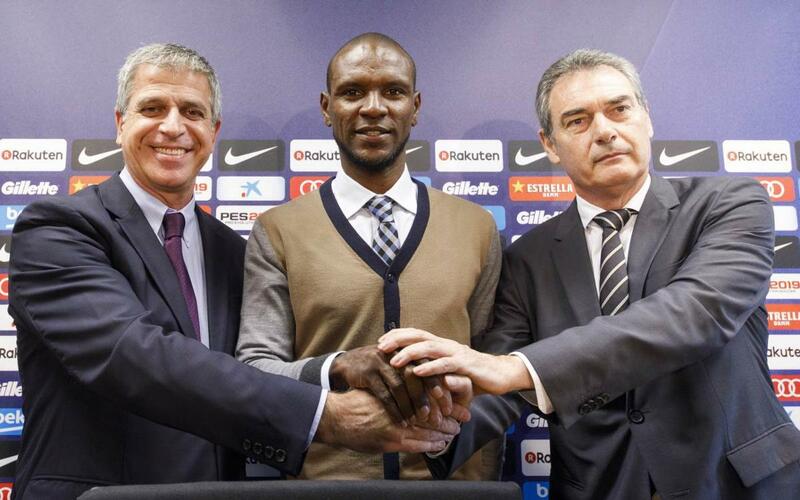 Éric Abidal was presented at midday on Tuesday as the new FC Barcelona technical secretary. The Frenchman, who played for the club from 2007 to 2013, said “I am happy to be back home. It is a pleasure for me to return to FC Barcelona. I want to thank the club for entrusting me with such an important job”. Pep Segura, the sports manager for football, mentioned this as one of the reasons why the club is hiring Abidal – in addition to his in-depth knowledge of the international market and especially the French one, which is the biggest supplier of players to the other major leagues in Europe. And FCB vice-president Jordi Mestre added that “we are thrilled to have you back. Your knowledge of the club and your importance here, as well as six years in the first team, will be ideally suited to our sports management team”.